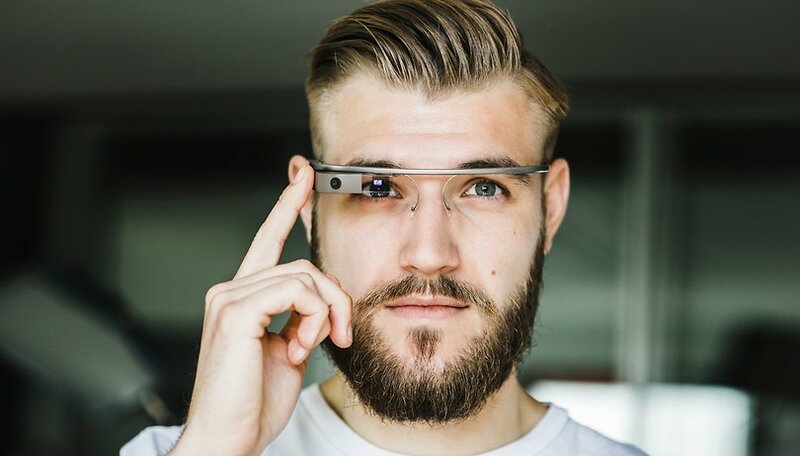 Smart glasses, be they optical head-mounted displays like Google Glass or designs for augmented reality, have been around since the start of the decade. However, 2019 feels like the year that these wearable devices go mainstream. Here’s why. Smart glasses have always suffered from an image problem. Google Glass has to play its part in this, of course. The discontinued project (at least for consumers) attracted criticism surrounding privacy and ethics. It wasn’t just the fact that they looked ridiculous, but there was something unnerving about the whole idea of smart glasses in general. Privacy advocates raised valid questions. The idea of someone walking around with a pair of glasses that could discreetly record video and audio, take pictures and put a name to the face of strangers via facial recognition was - and still is - creepy as hell. But the failure of Google Glass didn’t stop others from continuing to build on the groundwork that the hardware division of the search giant had begun. One company that is clearly committed to the idea of cameras in the frames of our glasses is Snapchat. In fact, Snap Spectacles have already been through several iterations. The first couple of versions bombed - Snap Inc. sold just 220,000 pairs after initially ordering 800,000 units from its Chinese supplier - but the latest version is waterproof, delivers a more complete Snapchat experience and is pretty affordable. Snapchat has also been making augmented reality acquisitions to bring its famous AR filters to its smart glasses. As for the reason why 2019 feel like the tide may be turning, we need to take a look at another wearable market. What we are seeing in the smart glasses market right now has already taken place in the smartwatch space. Traditional tech manufacturers such as Apple, Samsung and Huawei are all making smartwatches still, but they have been joined by traditional watch brands. Emporio Armani has entered with its Connected. Kate Spade has a smartwatch, as does Tory Burch, and Marc Jacobs. Have you seen the Skagen smartwatches? The Danish, minimalist design could not be further from the chunky, tech-nerdy designs we see coming from Samsung and LG, for example, Google is now buying technology from The Fossil Group, which already makes an extensive range of smartwatches running Wear OS. All of this is leading to increased sales. According to the latest data, the sales of smartwatches are up 51% and 16% of adults in the US now own a smartwatch. How long is it before we see this trend turn up in the smart glasses business? When you look at the smart glasses market, it feels to me like we are moving along the same path as smartwatches did, we’re just a couple of years behind. Sure, the early products were clumsy, sometimes silly and other times just outright creepy, and yet the market continues to grow. Take a look at North Focals, for example. They look like something Michael Caine would have worn in the 60s. They’re beautiful, and bring navigation, notifications and Alexa to your face and at all time. Sure, the arms are a bit bulky - hence why most of the models wearing them have long hair to cover them - but compared to the rest of the market they are cool. There’s also a four-directional joystick you can wear as a ring to help with navigation. Then there the Smith Lowdown Focus from the Toronto-based company InterAxon. This tech-heads have too noticed that partnering with a fashion brand is the only way to sell wearables to the mass market. This time it’s the Safilo Group, from Italy, that gets the nod. They look like Ray Ban Wayfarer’s and feature real-time biometric feedback and built-in brain training exercises. We’re also seeing prescription smart glasses coming to the market in some regions. There will also be industrial applications for more advanced glasses such a Microsoft’s HoloLens 2, but I feel a market is emerging here for fashionable smart glasses that don’t make you look like a creep. Are you ready for smart glasses to go mainstream? Let us know the first time you see someone wearing a pair of these in public. Since when did they become not nerdy and creepy? what does that mean, exactly? wearing your phone on your face suddenly means that Orwell's 1984 is now a reality?